Retirement is wonderful! Now. I sure do wish I knew about essential oils before I started the transition to retirement. Thankfully I know about them now, and I can use oils every day to support my body naturally and to create a healthier environment for my family. Retirement has been a fantastic adventure and transition. Within two months of my retirement, we sold our house and set up housekeeping in a 40 foot fifth wheel RV. After three years, we then made another major transition to condo living. One of the very best transitions for us during this time was the decision to use essential oils and other Young Living products. I began hearing about essential oils and did some research to see what all the fervor was about. I was amazed to find out about the rich history of the use of oils and the benefits experienced by so many people. Ultimately, my research led me to sign up with Young Living, and I have been using and sharing about oils since then. I would love to share what I have learned with you! Why Young Living oils? 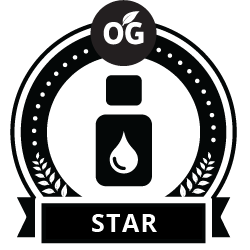 Only Young Living promises to ensure the purity of essential oils by ensuring purity from the seeds selected and the soil they are planted in to the final seal placed on the bottle. Learn about the process in the following video. Contact me today to learn how you can get started! Please provide your contact information, and I will contact you as soon as possible. Thank you! Maggi is a Panama City essential oils distributor. Use the contact form to get in touch with Maggi. Want to learn more? Contact Maggi LeClair — A Panama City Young Living essential oils distributor.